But it probably can't hurt. 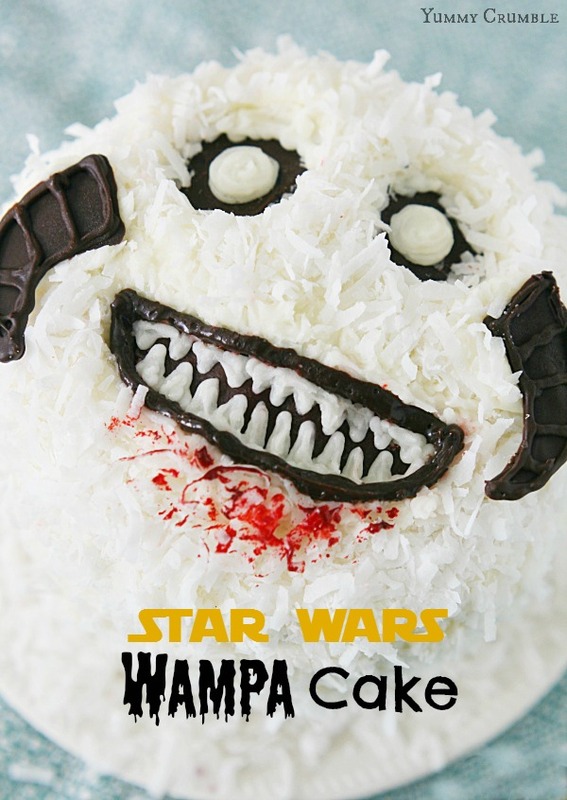 The following was originally posted on Siegle’s YummyCrumble blog under the title Star Wars Wampa Cake and has been republished with permission. Star Wars Wampa Cake made of rich red velvet cake, frosted with cream cheese frosting, and drenched in sweetened coconut. With fangs made of frosting and chocolate horns, he’s irresistible! No worries Luke! This Wampa may be huge, but he doesn’t have any arms that need cutting off. Your’e safe. So go change your jedi underpants before anyone notices. Now Luke can have his revenge yet again. This time though, it’s the sweet kind. 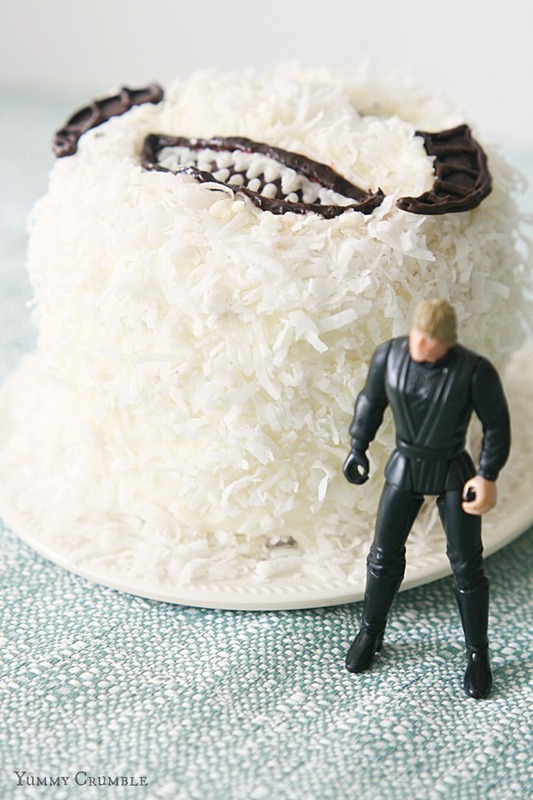 My inspiration for the Star Wars Wampa Cake came from Sugar Swings. She had some amazing wampa cupcakes. These were super easy to make! If you want to know how to make your very own Peppermint Jawa Brownies, click on through to the next page! 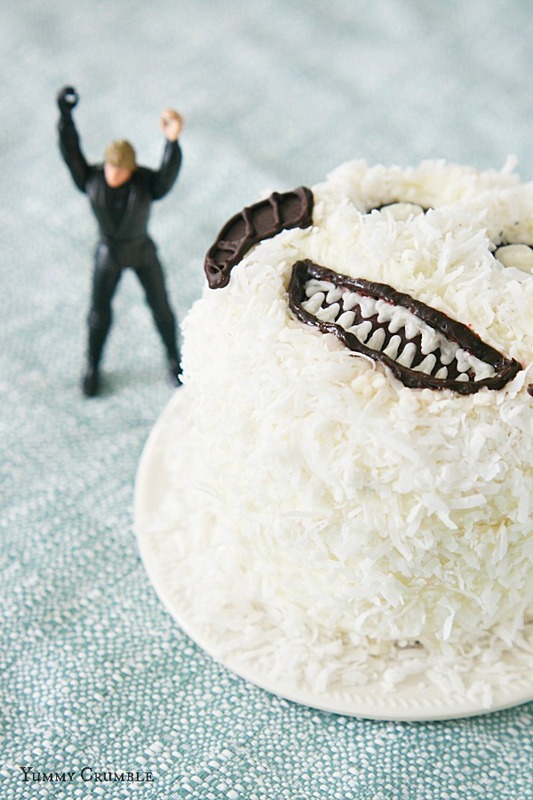 If you end up making this Wampa Cake, take a photo and tag it #yummycrumble in instagram. I would love to see it! I’m Kathleen and Yummy Crumble is where I explore my sweet tooth and share it with you. I’m not gonna lie. Sweets make my heart flutter. Gooey chocolate chip cookies. Cupcakes with mile high frosting. I won’t even turn down fruit cake! Other things that make my heart flutter are my two beautiful children and of course my lovely husband. You can find me on Twitter and Instagram!